Last year more than 87% of claimants renewed ahead of the tax credit renewal deadline, and this year’s deadline is fast approaching (31st July). With plenty of advanced warning from HMRC, there’s no excuse not to get your tax credit renewal in order. However, the tax office has released the top 10 excuses it’s received for not renewing tax credits claims. While some of these excuses go from the sublime to the ridiculous, HMRC asks all claimants to check the accuracy of the information in their renewals pack, and to tell the department of any changes to their personal circumstances that they haven’t already reported, such as to their working hours, childcare costs or pay. The renewal of tax credits is very important for millions of families who rely on financial support for bills such as childcare costs. 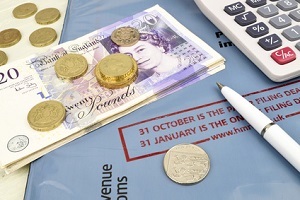 HM Revenuee & Customs (HMRC) sent over 5.8 million tax credits renewal packs to claimants between April and June 2014. For the first time, this year, claimants can renew their tax credits online at GOV.UK, as well as being able to renew by post and phone. For more information on how to renew your tax credits please click here.